Students at Siena will find drama incorporated throughout their daily classes. Drama develops a variety of skills, including oral expression, listening, and collaboration. Learning various dramatic techniques helps to develop spatial, bodily/kinesthetic, linguistic, interpersonal, and intrapersonal intelligences as the students participate in activities, games and an annual production. 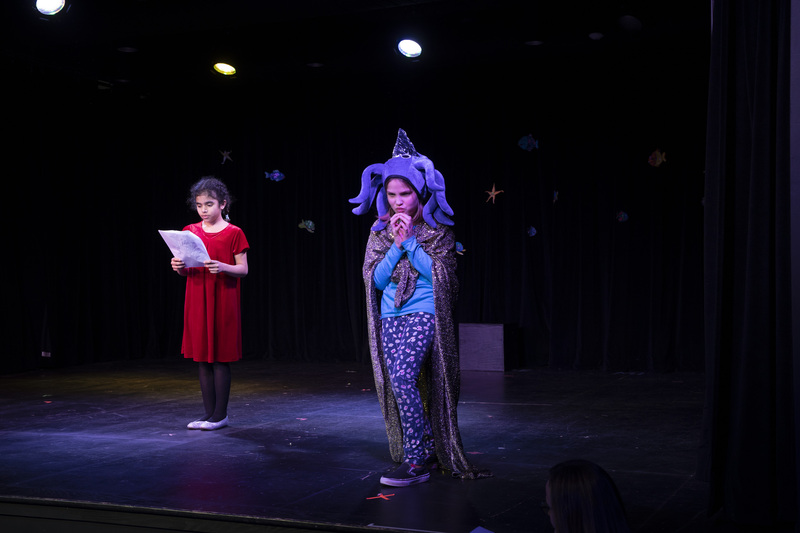 Students explore the theater as a whole, undertaking different roles including that of writer, actor, stage manager, stage designer and director. to display a scene from "Snow Dogs". Middle school students participate in a wide variety of activities to help teach the basics of theater and discover their inner thespians. 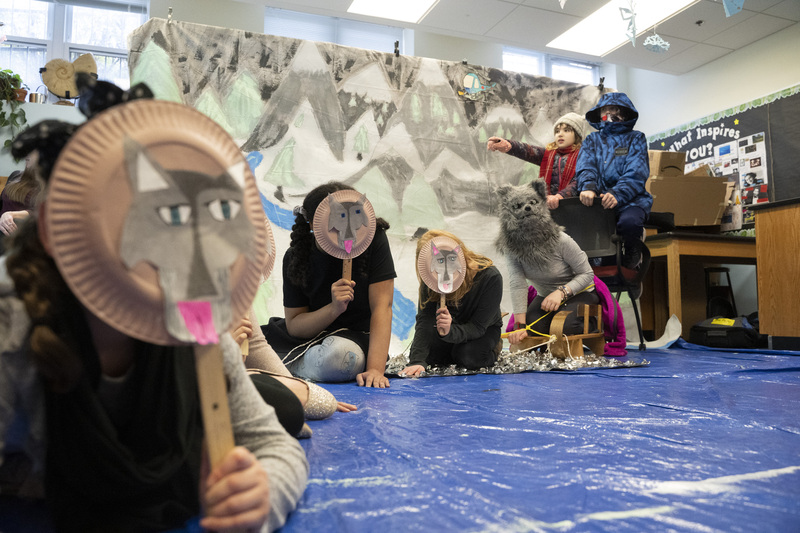 From pantomime performances to radio dramas, students learn how to express conflict, incorporate music, craft characters, and project their voice. They perform monologues and create stage posters, learning all aspects of theater from planning a show (including script writings and set design) to performing in character. Studying the acting tools of mind, movement, and voice, students learn stage directions, practice memorizing and writing scripts, writing scripts, and learn how to analyze verse and prose. The high school drama course offers an in depth study of theater, spending time not only learning the craft of acting but analyzing and writing plays. Students spend time analyzing play characters, writing and analyzing monologues, performing Shakespeare, learning acting styles, practicing improvisation, and designing sets & costumes. This class offers numerous performance opportunities, including a showcase where students write, direct, and perform in an original play. This elective consists of two parts: an intensive research project in the field each student is most interested in (shakespeare, musical theatre, stand up comedy, digital shorts, etc.) and a whole class study of the performing arts. 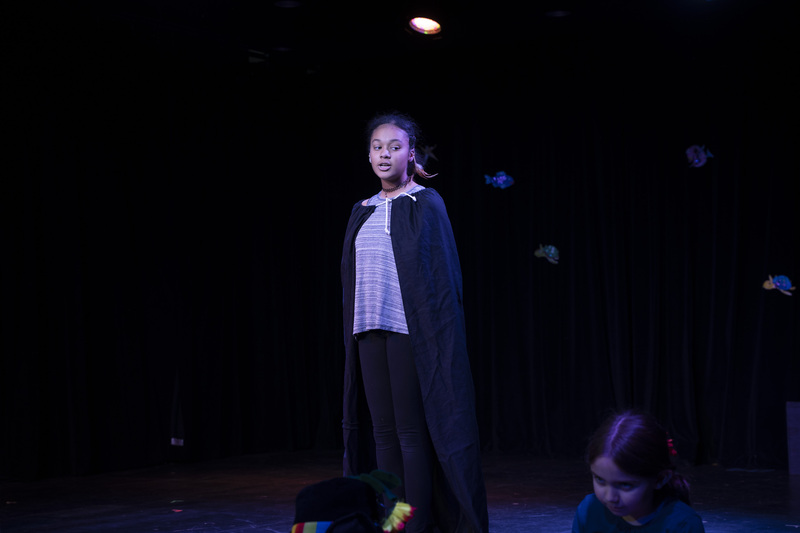 While students work on an independent project in their area of focus, they also perform contemporary scenes, analyze and perform monologues, and practice their improvisation and mental flexibility.